Our clients can avail from us high functionality Test Sieve Shaker that is made available in standard as well as customized specifications. 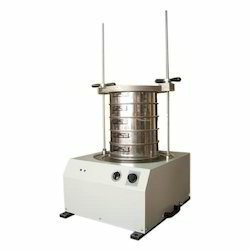 This shaker is used for screen analysis in laboratories and several chemical industries. Our adept professionals manufacture this shaker using quality-examined components and ultra-modern manufacturing techniques in accordance with international quality standards. Additionally, the offered shaker can be easily purchased from us at marginal rates from us. 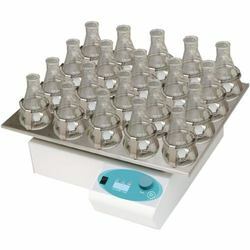 Commonly used in many chemical and biological laboratories this offered Orbital Shaker has a display for shaking speed and timer function. Provided with a sufficient capacity to accommodate flasks, it enables continuous shaking combined with precise speed control. Capable of producing horizontal orbital motion through the heavy-duty bearings, this orbital shaker has a long service life. 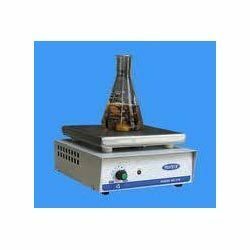 Our years of expertise have aided us lot to provide exceptional quality Magnetic Stirrer with Hot Plate. 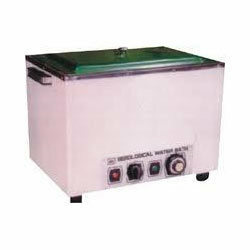 The offered stirrer is widely used in various chemical, food processing, pharmaceutical and related applications. In order to manufacture this stirrer in conformity with international quality standards, our deft professionals use quality components and pioneering techniques. As per the specific requirements of clients, we offer this stirrer at industry leading rates to our clients. Display Digital display to temp. We are looking for Export queries mainly from Canada, USA, South Africa, Middle East countries, UAE, Philippine, Singapore, Thailand, Indonesia and from European Countries. 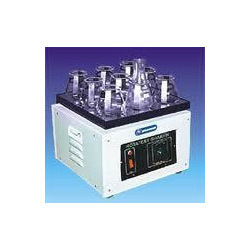 Our organization has become an unparalleled name in this field by offering the best quality Water Bath Shaker. Manufactured using top-notch quality components and progressive techniques, this shaker is also checked on defined quality aspects to assure its flawlessness. This shaker finds application chemical, pharmaceutical, food processing and many other important industries. Furthermore, our clients can purchase this shaker from us in different technical specifications at cost-effective rates. Conical flasks: 50 ml. to 500 ml. As the chief organization, we are betrothed to offer the best quality gamut of Rotary Shaker. The offered shaker finds wide applications microbiology, pathology, biotechnology, etc. This shaker is precisely manufactured by our ingenious professionals with the use of quality-assured components and ultra0modern techniques. Furthermore, we assure our patrons that this shaker is stringently tested on various quality parameters before its final delivery at clients’ end. Looking for Shakers and Stirrers ?